If you live in a rental property or have a small garden, potted plants are ideal as they can be moved around easily. They also add some visual impact to your garden space. Fancy pots may look good but can be expensive when bought from a garden center. And if you are on a budget, that's where it can get tricky. Why not upcycle some containers yourself from unused household items? 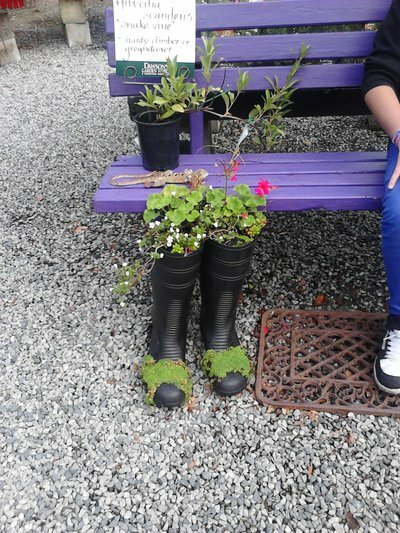 Here are a few ideas on using existing containers and turning them into kitsch plant holders. I was initially upset when I found out one of my mugs had a crack in it. 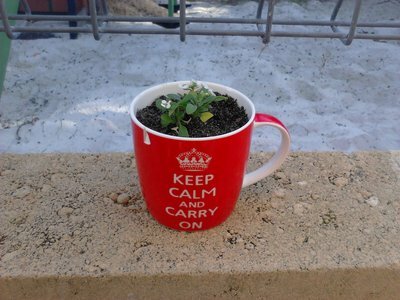 Rather than throw it out, I decided to plant some flowers in it. Simply put a layer of gravel in the bottom to help with drainage, add some potting mix and you have a cute plant container. Tea cups also look great. Do you have an old or worn out pair of boots lying around? Or maybe the kids have outgrown theirs. Give them another lease of life by adding some flowers or plants. Metal buckets are great and can add a weathered look to your garden. I found this one on a verge pick up and it has been in my garden ever since. Picnic baskets are ideal for plant containers. You can keep the handles on if you like or simply saw them off. Line the basket with some black plastic and potting mix, then add some plants. 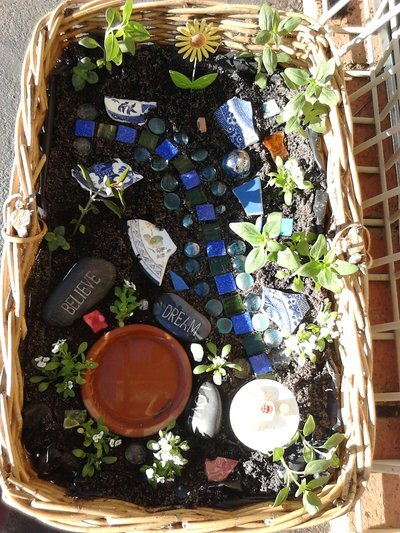 We turned this old picnic basket into a thriving fairy garden. The ideas for upcycling plant containers are endless and only limited to your imagination. 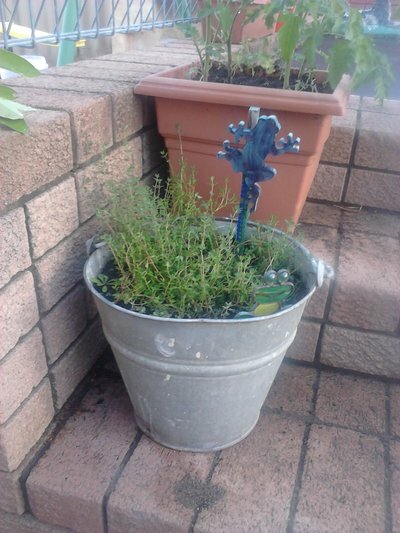 Do you have any upcycled plant containers in your garden?